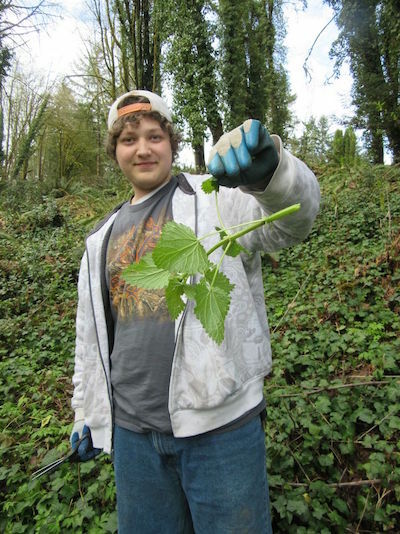 There are 6 positions available for Spring Farm Assistants to GRuB Youth Program Alumni. You will have an opportunity to build on your previous experience on the farm by getting to work on the land during an important time of the season. For more information and to download the full job description, please CLICK HERE. Position starts week of April 9th and lasts for 8 weeks. Potential to continue into summer as Farm Assistant. Farm grown food is available to apprentices as it becomes ready. Spring Farm Assistants are an important part of the spring GRuB Farm Team. You will have an opportunity to build on your previous experience on the farm by getting to work on the land during an important time of the season. Spring is when we prepare the fields for planting and start all the seeds for the coming growing season. Your time on the farm will include lots of manual labor shaping beds, mixing and spreading soil amendments, seed starting, irrigation set up and other early season tasks. Available trainings include training greenhouse production, soil management, propagation and transplanting techniques, farm planning, record keeping, farm tool/equipment maintenance, harvesting, irrigation, and various other early-season farm activities. Farm Assistants may have opportunities to participate in building gardens, as needed, off site on Wednesdays during their shift. What skills and experiences will you bring to this position? What challenges do you face heading into this position? What support do you need to succeed? Priority deadline is March 9, 2018. Positions open until filled.